Galway has a number of iconic spots, the Long Walk being one of them. Galway has a number of iconic spots The Long Walk is one of them. 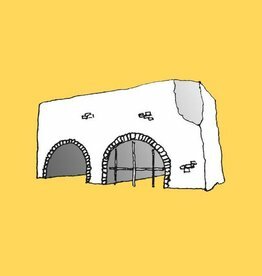 Galway has a number of iconic spots Spanish Arch is one of them. 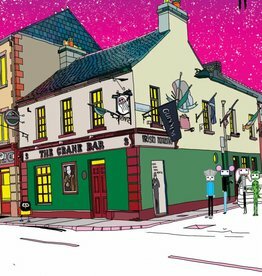 'The Crane' by Sketchy Inc features the iconic Crane Bar on Sea Road, one of Galway's best known traditional music pubs. A4, presented in a handmade white frame, this print is A4 and printed on archival paper limited to 100. Galway has a number of iconic spots The Diving Board in Salthill is one of them. 'Unicorn And Stars' Colour Print unframed printed on 200gsm uncoated paper. Fits perfectly in Ribba series frames from IKEA Or washi taped directly on to your wall. Ideal for a kids room or a wedding gift for a fun couple! 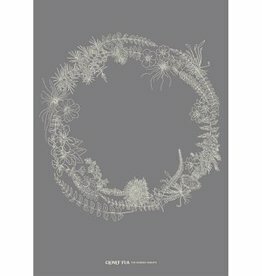 Burren Wreath Print (Graphite with Cream) - An Intricate Hand Drawn Study of the flora and fauna found in The Burren. A limited edition print by the artist Lorraine Fletcher, Galway. Printed on archival Hahnemuhle Fine Art paper.